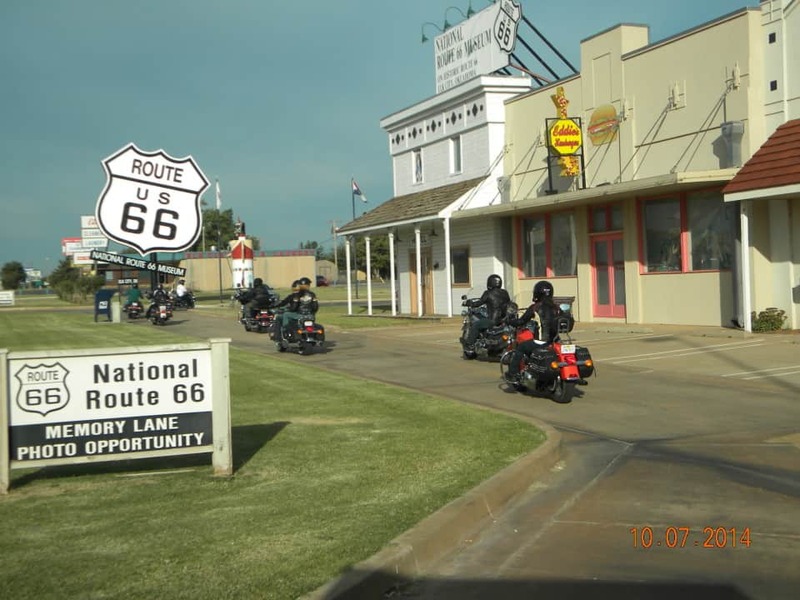 Route 66 Motorcycle Tour. 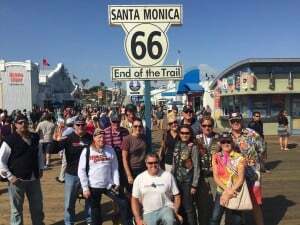 Ride Historic Route 66 from Chicago to LA on a guided motorcycle tour USA down the Mother Road of America on a Harley Davidson motorcycle. 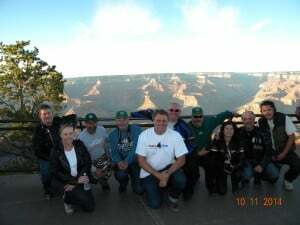 Explore old Rt 66, The Grand Canyon, Las Vegas, and more with the Oldest Motorcycle Tour Company in the USA. Fully Insured. 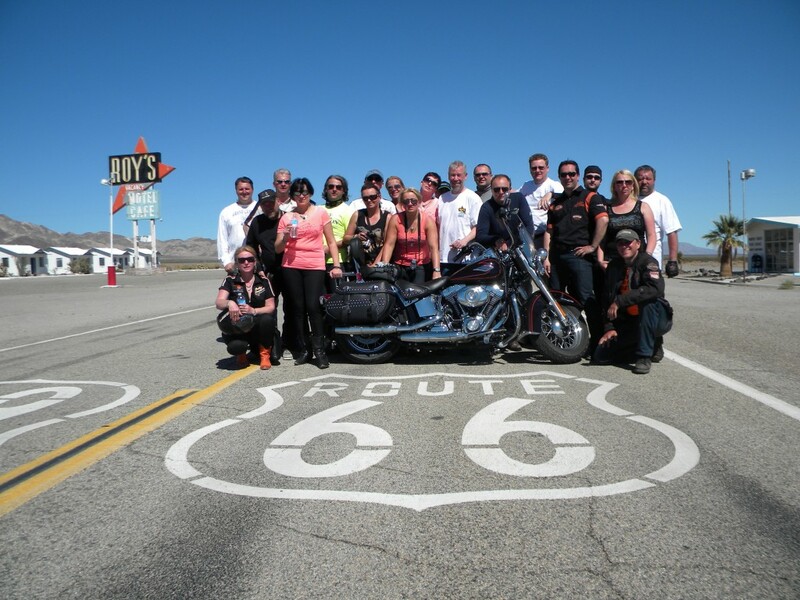 See the Route 66 Guided Motorcycle Tour from Chicago to Los Angeles with Las Vegas and the Grand Canyon. 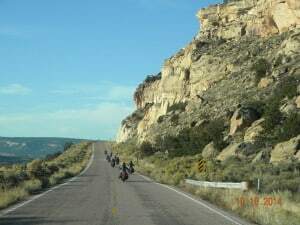 Or for a shorter Route 66 trip, you can join on a motorcycle the portion from Albuquerque to LA on Route 66. This is a 10 Day Tour. 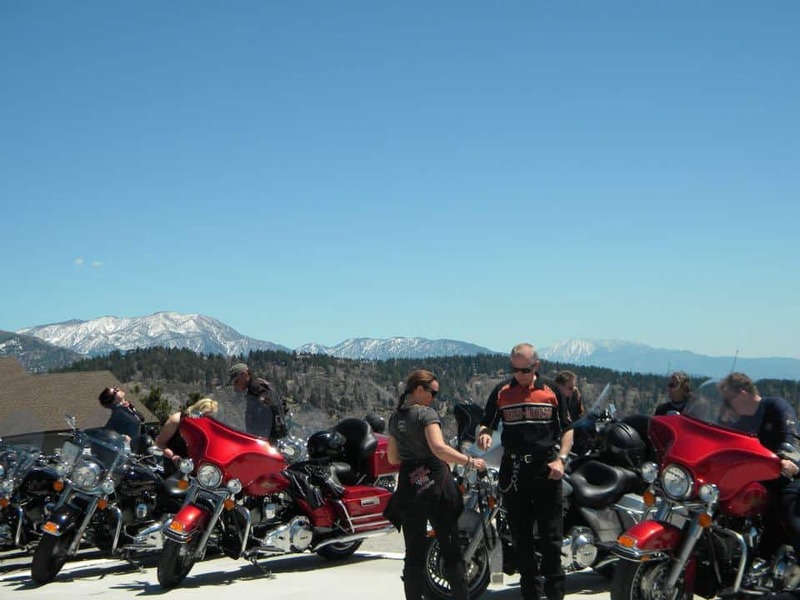 What is different about Ride Free Chicago to LA Motorcycle Tour Route: We typically run smaller more personalized tours than other Chicago to LA Motorcycle Tour Companies. We stay at the top of the Grand Canyon for the sunset and sunrise, unlike most tours who only stay only at the bottom. We also spend a whole day at the Grand Canyon the next day giving time for a helicopter ride or donkey ride, then ride to the bottom so we have more time on an amazing part of Route 66 the next day. 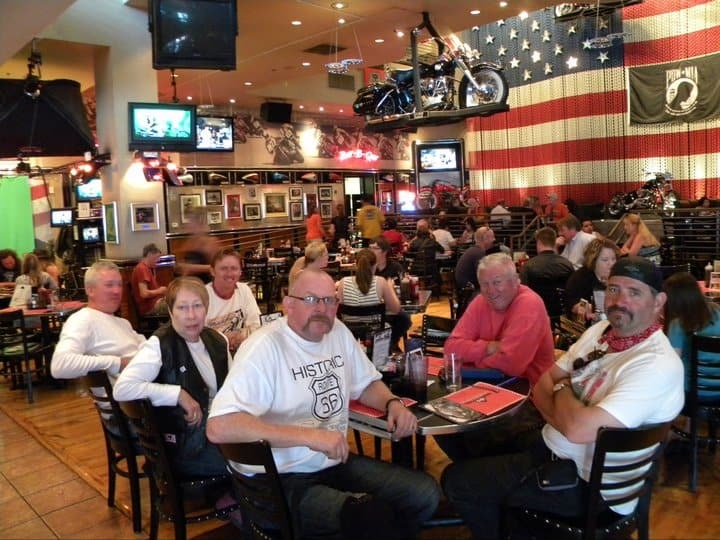 We also get to Vegas early so you have a full afternoon and relaxed evening in Las Vegas. Motorcycle return fee included at no extra charge to you (Chicago starts only), some Breakfast, Gas, Tour Guides, Support Vehicle, National Park Fees, Motorcycle, Lodging. Not included: Optional Helicopter ride at the Grand Canyon, insurance options, lunch and dinners, tour guide gratuity. Since we don’t normally stay in the generic chain hotels that have the small continental breakfast like most tour companies, but smaller more unique accommodations when possible, a breakfast is not included all mornings. This extra day pre trip is available as an option on all our Route 66 tours. Adds 1 or 2 days to trip. 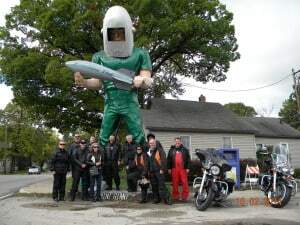 Or Start the tour in Milwaukee, visit the Harley Museum, pick up the bikes, ride with the group to Chicago. 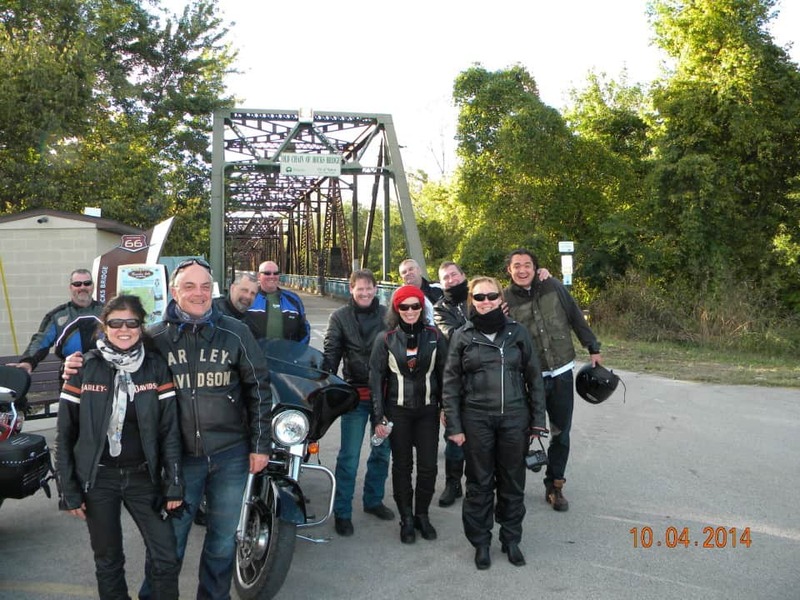 Part 1: We meet up for a few days of celebration at the Harley Museum in Milwaukee. 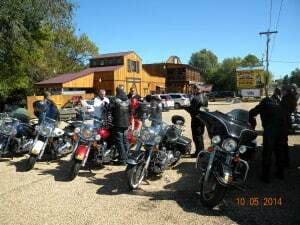 Then we get our bikes and ride to Chicago. 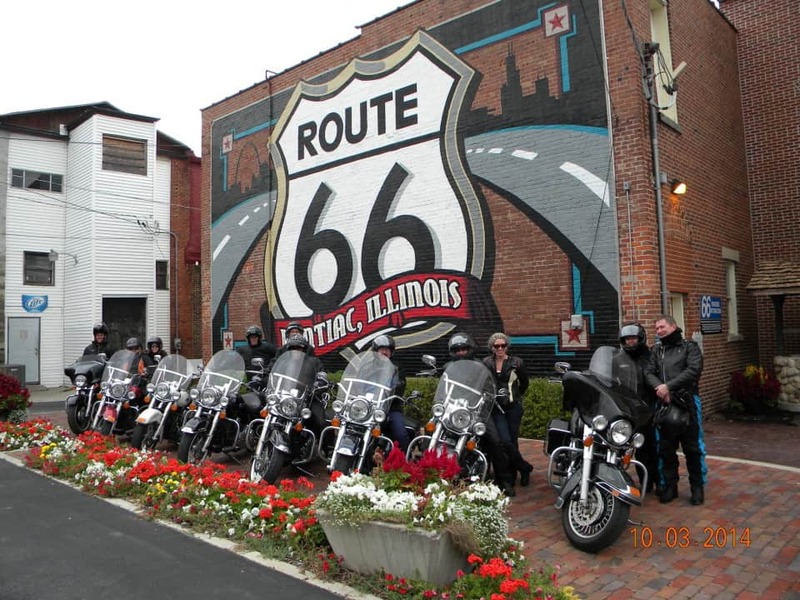 This is the Traditional Route 66 Chicago to LA Harley-Davidson Motorcycle Tour. 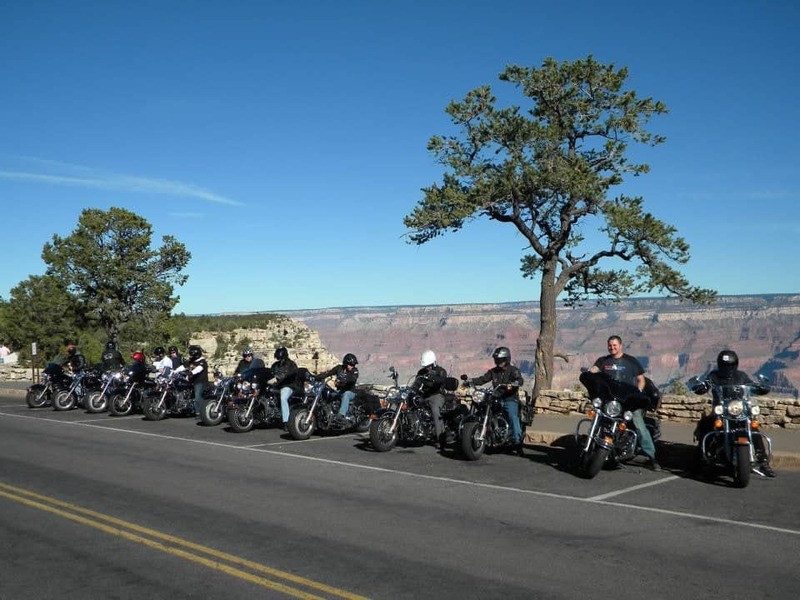 Ride Free includes almost a full day at The Grand Canyon on this motorbike trip across America, or explore the area on your bike that day. And, we arrive early to Las Vegas so you have a full afternoon and night in Las Vegas, or we can ride the Red Rock Canyon by Vegas or The Valley of fire. 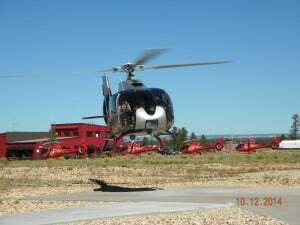 Optional helicopter ride at Grand Canyon. This is what most motorcycle tour companies run, but we highly suggest the 16 day or 17 day tour. They turn the trip from a mission feel where you just don’t have the time you wish you had every day, into the motorcycle tour experience you were hoping for. It is not that our 16 day Rt 66 route is longer in mileage, we just give you more time to see the things you came to see, and not be exhausted like the other tours we see on the road. This is the traditional Route 66 Chicago to Los Angeles Motorcycle Tour, BUT with a couple of extras. We explore Rt 66 where most tours ride right by, and we add days so we have time to explore more without days being too long on our motorcycles. # Wil highly recommends this over any 15 day Rt 66 Route. ## Note: don’t let the mileage fool you, much of our trip exploring is slow moving and takes a long time. And, you don’t want to miss all the history and attractions. 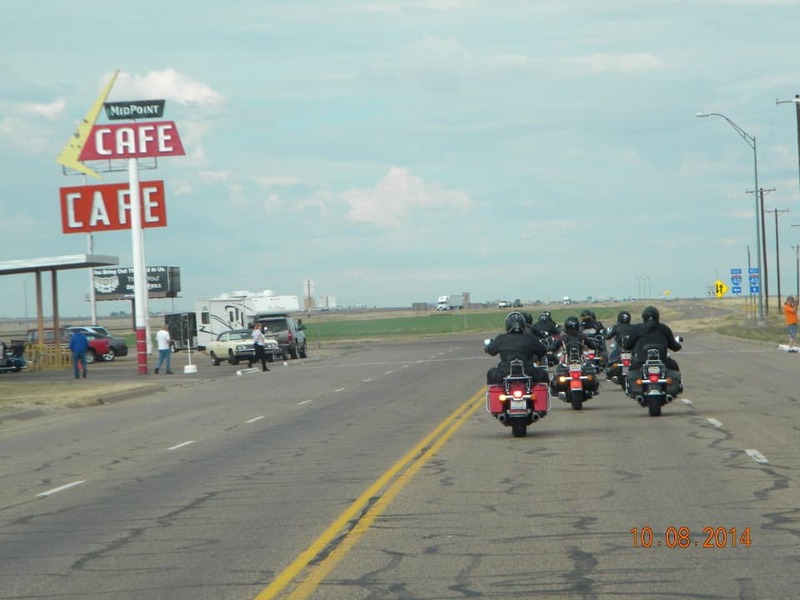 motorcycle tour, but we ride our motorbikes Chicago to Las Vegas on Route 66.
motorcycle tour, but we ride our motorbikes Chicago to Santa Fe / Albuquerque on Route 66.
motorcycle tour, but we ride our motorbikes Albuquerque / Santa Fe to Los Angeles on Route 66. Option 5B – 10 day 9 Night – We go to Santa Fe also on this trip. 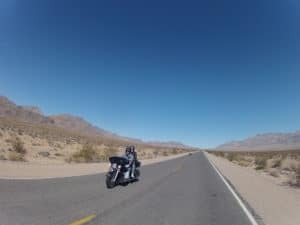 This Rt 66 motorcycle trip across America is the same as the relaxed 17 day Ultimate Chicago to LA Route 66 Harley-Davidson Motorcycle Tour, except we add in a stop at the Harley Davidson Museum in Milwaukee and a layover day in Las Vegas. If you want to go no holds barred on your motorbike experience of a lifetime, this is the trip for you. It still also has the layover day in Santa Fe. You will have time to see so much on your trip, and with the layover days, you will be much less fatigued and tired than the 15 day trip. 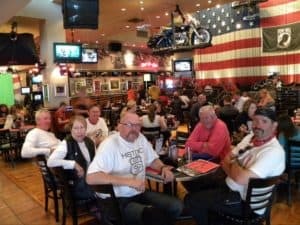 We meet after lunchtime at the hotel and talk about our upcoming adventure on the Mother Road of America, Route 66 Chicago to LA. 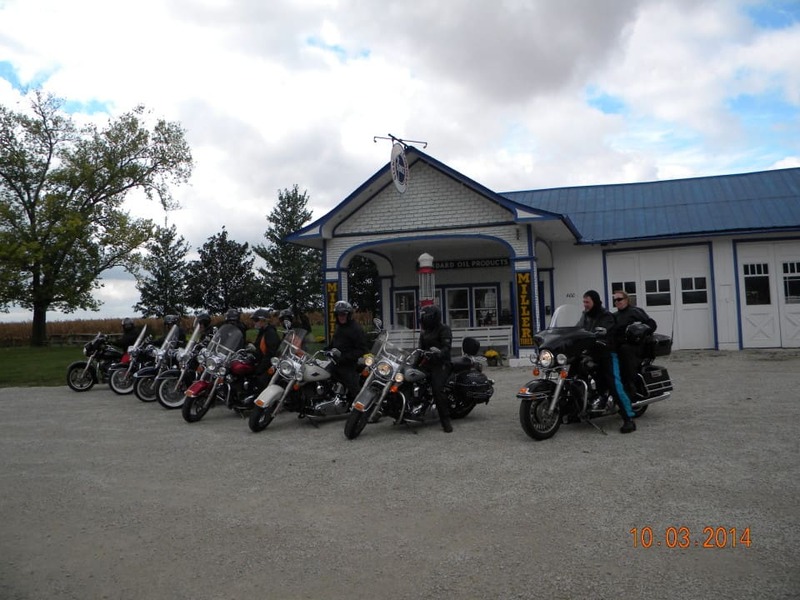 We also do an orientation with the bikes to familiarize ourselves with the upcoming adventure and our Harley Davidsons. Then we go out for dinner after checking out the beginning of Route 66 in downtown Chicago to discuss our big adventure! Let’s hop on our Harley Davidsons and ride Route 66! We settle into our bikes, and aim for California. This is our first night on the road. 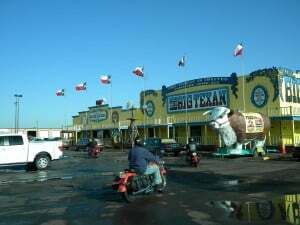 See icons such as the “Gemini Giant”, “Rocket Man”, “Old Log Cabin”, the old “Marathon Oil Station”. 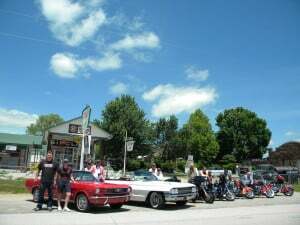 We also stop at a Rt 66 Museum in Pontiac to learn about Route 66 and the people who make America great. That afternoon we arrive to Springfield on our Harley Davidsons and stay at a nice local hotel in historic downtown where we can have dinner at a local restaurant and celebrate our first night on the road. 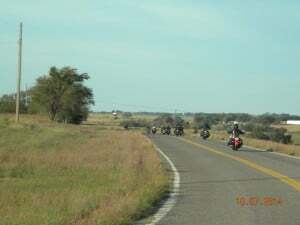 Riding Rt 66. Exploring St. Louis. 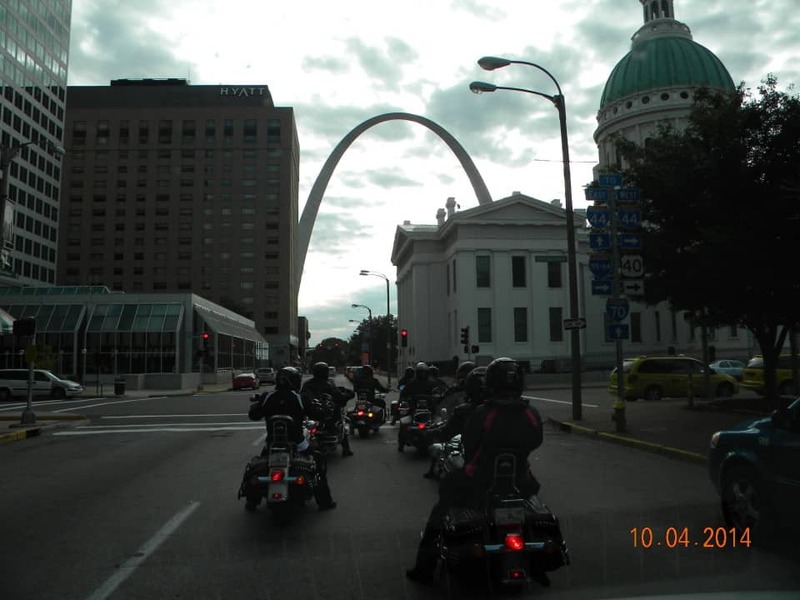 The Gateway Arch welcomes travelers heading East or West. The famous Budweiser Brewery. Maybe a blues bar tonight? 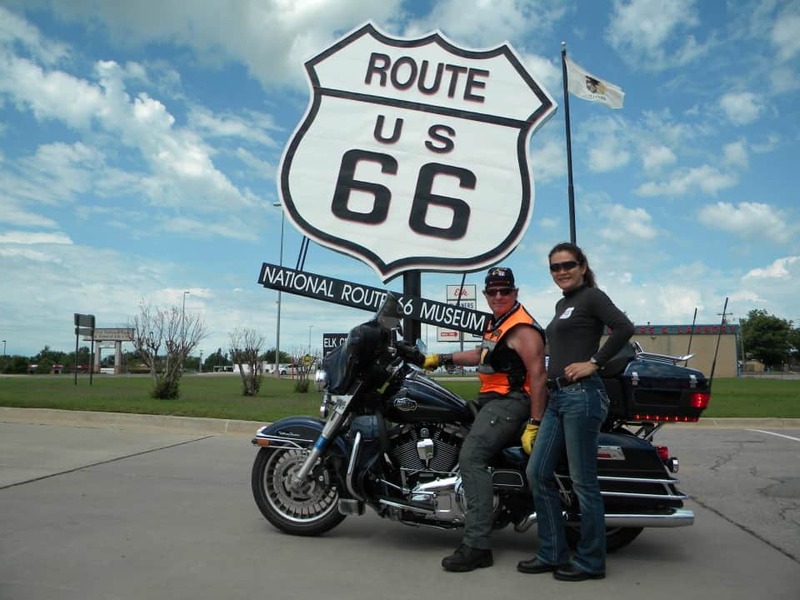 There is so much to discover and explore on the motorcycle adventure across the Mother Road of America, Route 66! 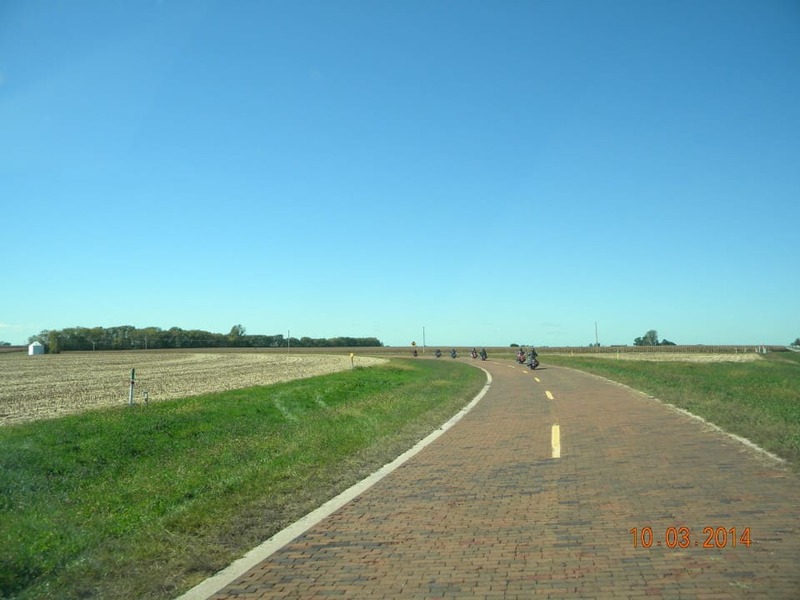 Before we get to Saint Louis, we ride our Harley-Davidson motorcycles onto an old section of Route 66 that is all red bricks. 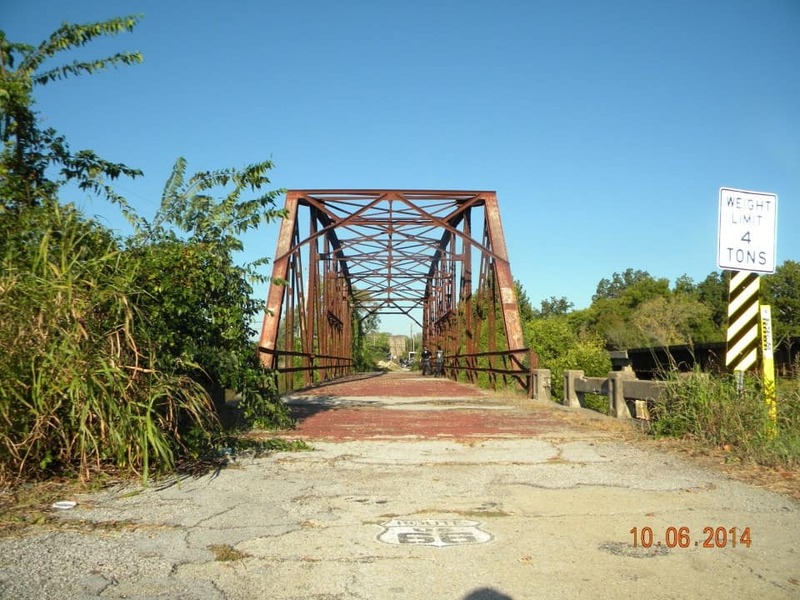 Then to the historic Chain of Rocks Bridge. We will walk out on the old bridge over the mighty Mississippi River. 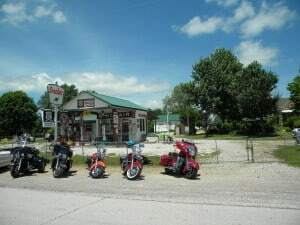 Riding our motorcycles on Rt 66 through neat little towns, we have really fallen into synch with our Harley Davidsons. We have some great authenic BBQ for lunch, and see the World’s Largest Rocking Chair. We get to see the real America that is still here, far far away from the big cities. Then we ride down a deserted twisty old part of Route 66 on our motorcycles to Devil’s Elbow. 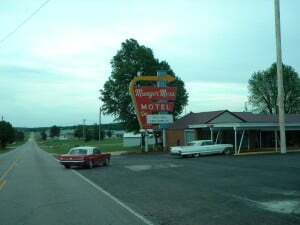 A great section of RT 66 with all the Googie Architecture. 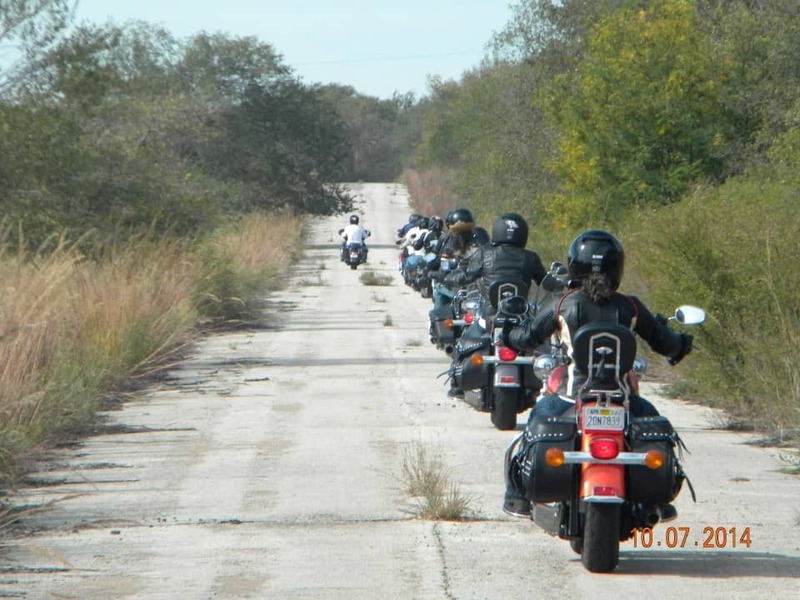 A really great motorcycle ride on old pavement of the Mother Road. 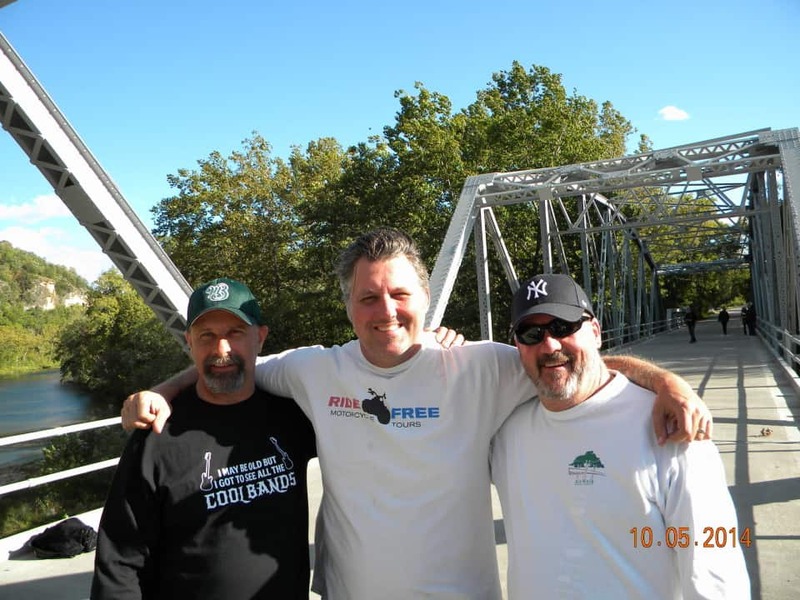 Gary’s Gay Parita and the old Rt 66 Rainbow Bridge are some highlights. We visit some great old diners. 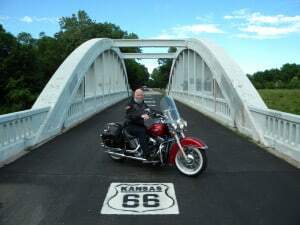 This is Rt 66 on a Harley! The Elk Cit Rt 66 Museum is full of American history from farming to the Wild West. Welcome to the panhandle of Texas. 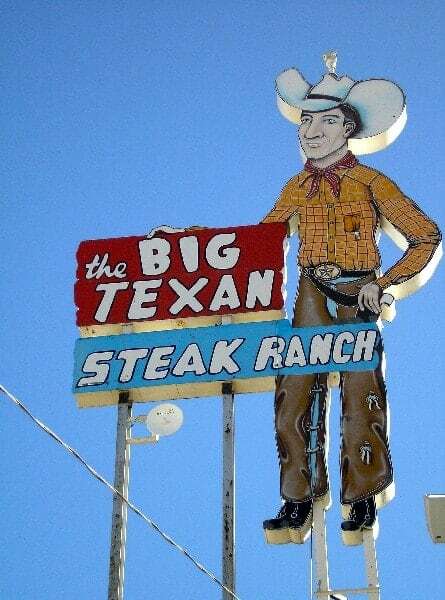 Big Texan Steakhouse for dinner? Everything is bigger in Texas. 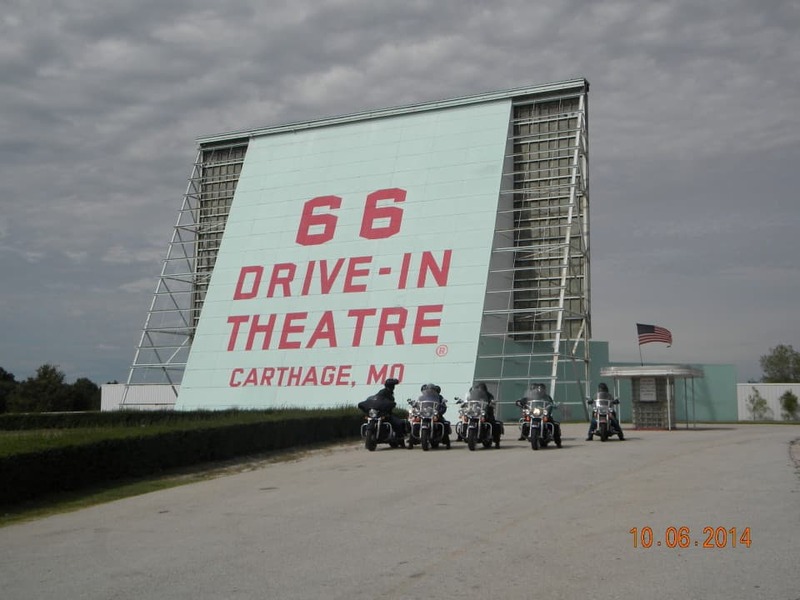 Let’s live a little old Route 66 today on our motorcycle and tonight. You will know you are on old Rt 66 today. It will feel like a throwback to what it was like to travel Rt 66 on the road in years past. After riding your motorcycle all day you will be ready for a big steak dinner. 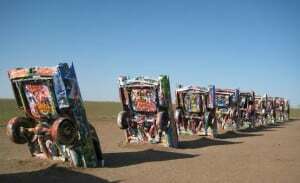 Cadillac Ranch is a Route 66 stop we must do. Who has ever spray painted a vintage Cadillac on Rt 66 before? 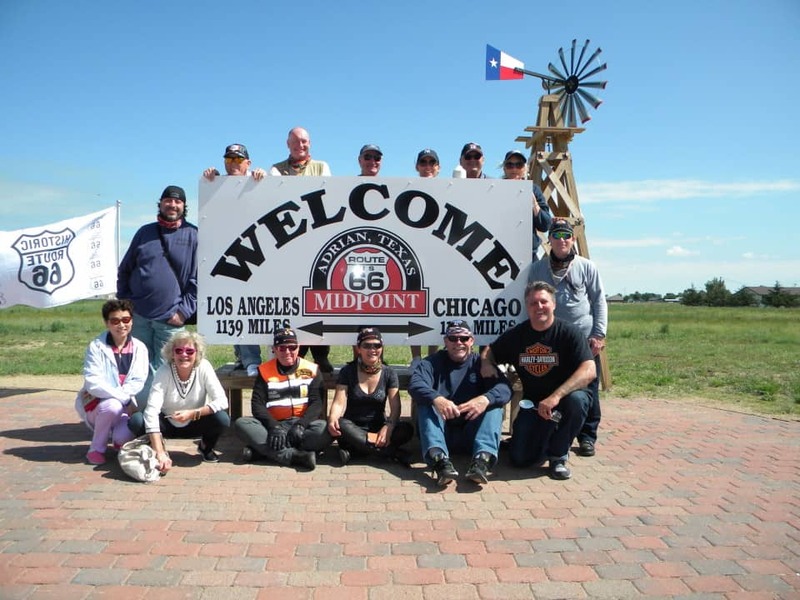 Let me ask you again in the future… We make it to the Midpoint of Rt 66! Then welcome to Santa Fe. Art galleries, great restaurants, great walking around…. This is really an amazing Southwest city to spend time in. We discover the rich history and culture of Santa Fe after a big motorbike day riding Route 66 on our Harley Davidsons. 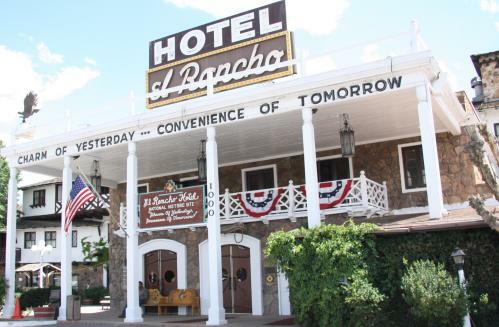 We follow the Route 66 path, and end at the little town of Gallup, at the Rancho Hotel. But first let’s ride our Harleys to Maggie’s Diner, where the big fight happened in Wild Hogs! Then to Old Town Albuquerque. The historic El Rancho Hotel and Motel has hosted a numerous array of movie stars including John Wayne, Ronald Reagan, Humphrey Bogart, Spencer Tracy, Katharine Hepburn, Joan Crawford, Kirk Douglas, Doris Day, Gregory Peck, and Burt Lancaster. 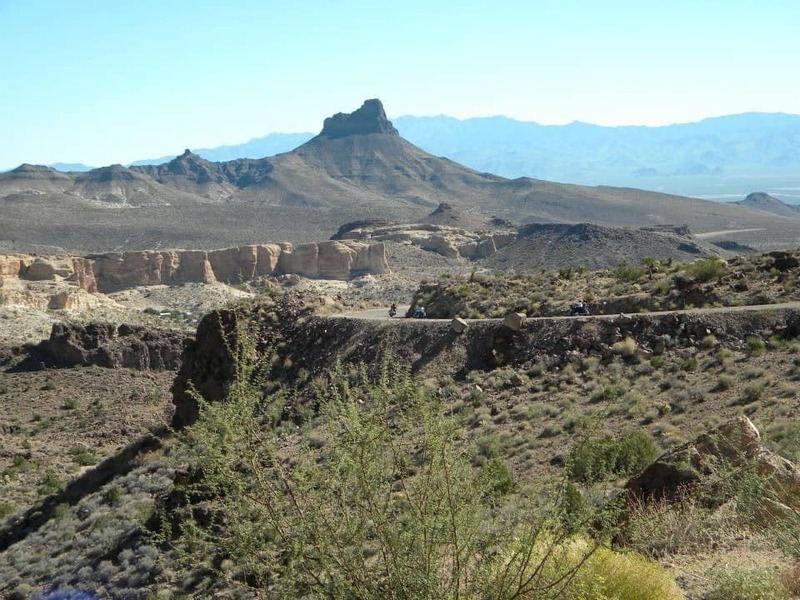 The rugged terrain surrounding Gallup was popular with Hollywood film makers during the 1940’s and 1950’s for the on-location shooting of Westerns. Actors and film crews would stay at the hotel during filming. 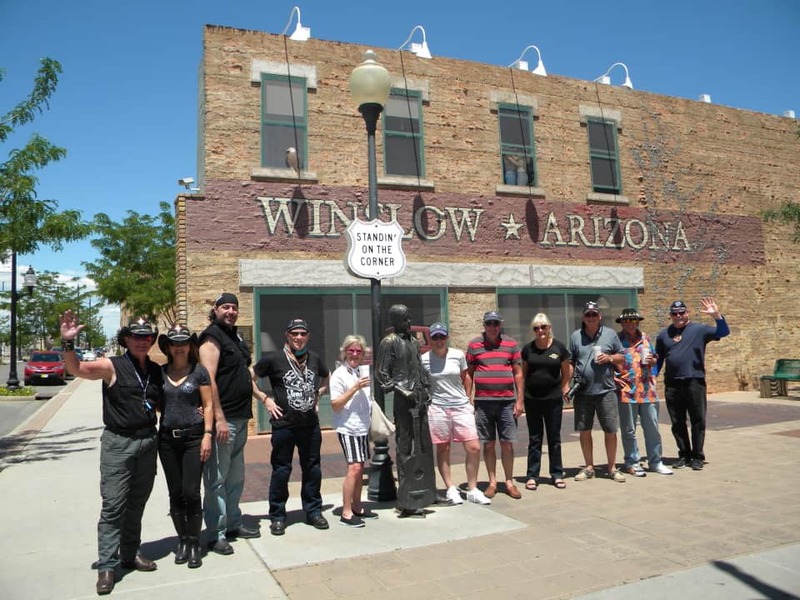 First, we will stand on a corner in Winslow, Arizona. Next we ride down the main drag on Rt 66 through Flagstaff. Then, we stay on top of the Canyon and watch the sunset the first night. The Grand Canyon. “That’s one big hole!”, enough said. Seeing the sun set over the Grand canyon is one of the things that everyone should see once in a lifetime. We have dinner right on the rim of the Canyon. At night, we can walk back over to the rim under the stars. 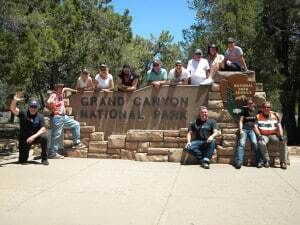 Day 10 – Grand Canyon South Rim to Williams, AZ – 51 miles – Almost Full Day At Grand Canyon! – Or go for an amazing ride. What is different about Ride Free Chicago to LA Route: We stay at the top of the Grand Canyon for the sunset, unlike most tours who only stay at the bottom. We also spend a whole day at the Grand Canyon the next day, then ride to the bottom so we have more time on an amazing part of Route 66 the next day. For those that want to ride more, we have an amazing ride set up for the day. Who is up for a helicopter ride across the canyon after watching the sunrise? Hike down a trail the next am. into the Grand Canyon. Ride the donkeys down the trail into the canyon? Just relax enjoy the sites and history. Check out the Watchtower. Lots of great things to see. We get a full day in The Grand Canyon. When we are done here, we start heading back down the mountain and stop if you want for a helicopter or plane ride into the Canyon. Or maybe an old train ride? We then work our way down the hill after an amazing day to Williams for dinner and a night on the little town. Or sleep. Ready to hit the road the next am for an amazing day. 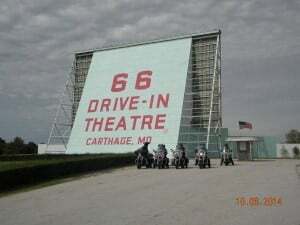 An amazing Old RT 66 day! All the RT 66 shopping you could think of. 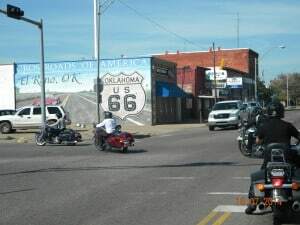 We will be on an old part of RT 66 a lot of the day. 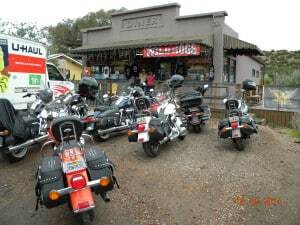 We ride our Harley motorcycles through old towns, some great shopping spots with old stores and memoralbilia. Towards the end of the day we will work our way on an incredible slow winding road to the old mining town of Oatman. Wild burros, real old 49er gold miners with real Colt 45s on their hips to protect their gold. A forgotten town. Not much has changed here the past 100 years. It is almost unbelievable that is winding mountain road was the main East West road until 1953 when Rt 66 was re routed. 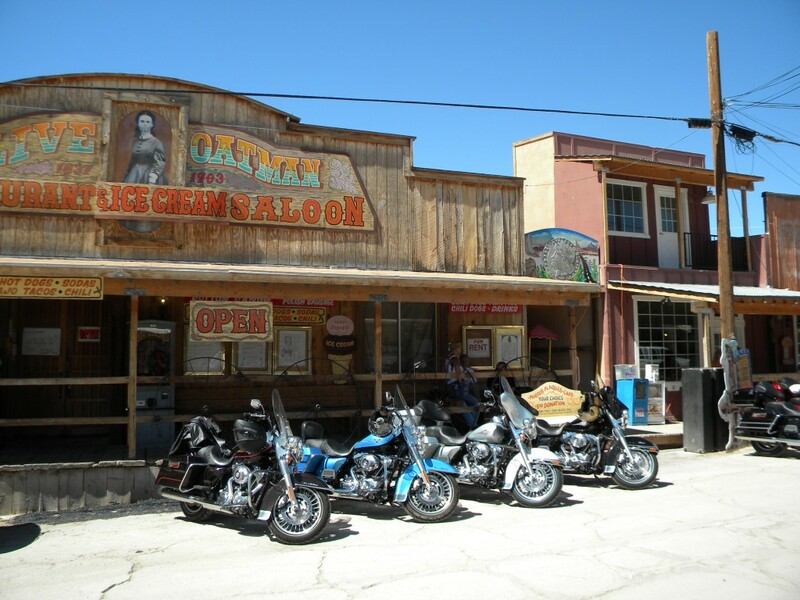 Time has held still since then in Oatman. Laughlin is a little Gambling town on the way to Vegas on the Colorado River. Let’s get you ready for the Big Time tomorrow. Day 12 – Laughlin, NV to Las Vegas, NV – 97 miles – Almost Full Day in Vegas! 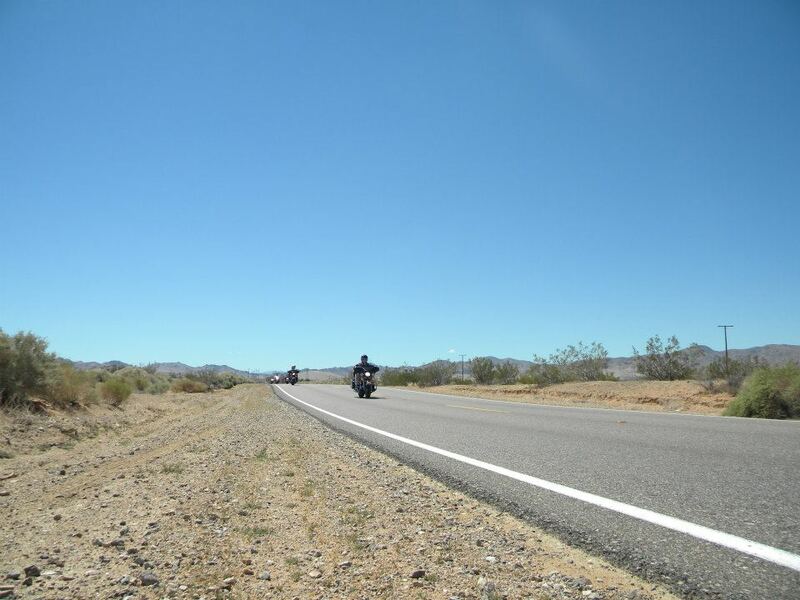 An early morning ride out beats the heat, and gets us to Vegas early for a full day…. Plenty of time relax in your Vegas room and get cleaned up before hitting the Vegas Strip. 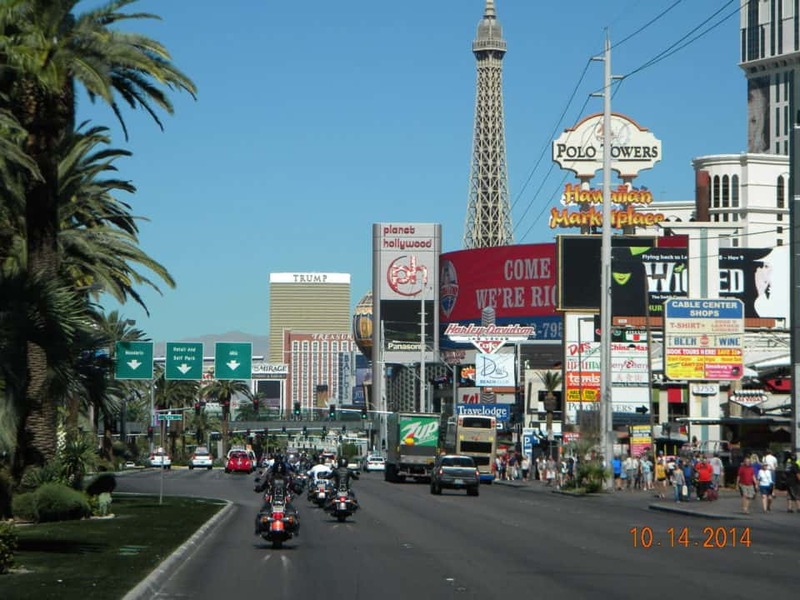 Of course we get a picture in from of the famous Las Vegas sign when we ride in town down the strip on our Harley-Davidsons! 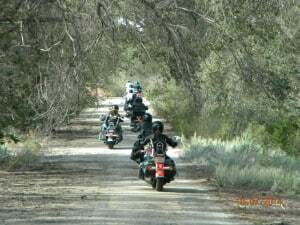 Or, instead of just Vegas lounging, we have some great rides out from Vegas if you want some more riding. Like Red Rock Canyon and some other stops. But first the Hoover Dam! Vegas – Pools, shows, fun. We will have most of the day to explore Vegas, and the whole relaxed evening. 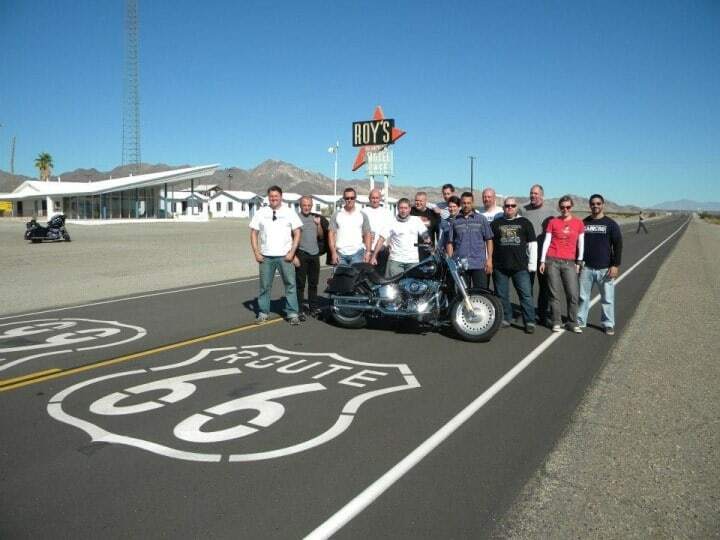 We follow the original path of Old Route 66 where we can, and explore the amazing Mojave desert. 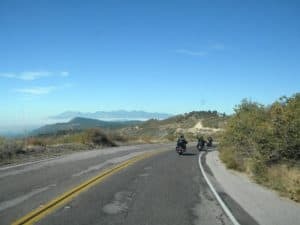 Or if you have had enough desert at this point, we will leave the hot straight desert behind and climb high above the clouds through the cool crisp mountain air on amazing twisty mountain roads to the alpine lake of Big Bear on our motorcycles. You think the trip is about done? No way. Some of the best motorcycling riding is today. We ride through the California mountains on our Harley or Indian motorcycles carving our way one perfect motorcycle curve after another. Before we drop down into civilization we have a great stop on top of the mountain with amazing views towards our destination. 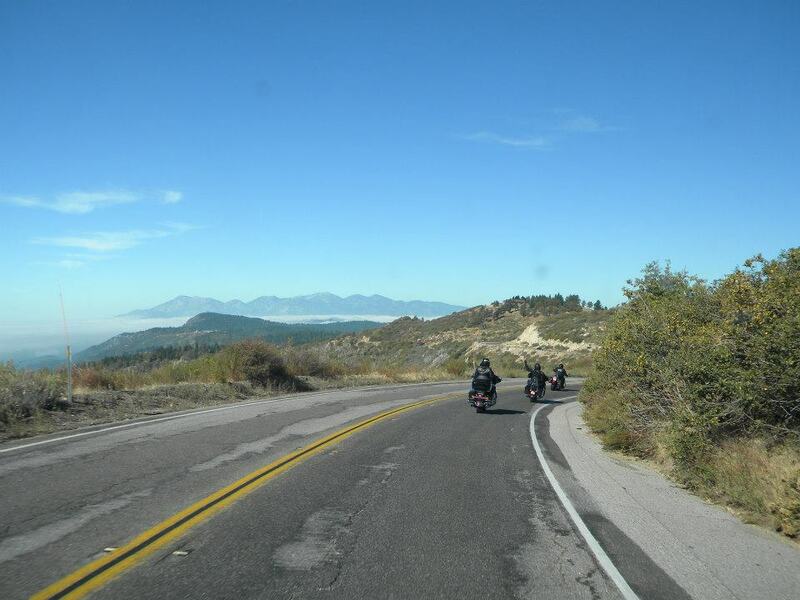 Then it is time to head over the famous Cajon Pass, then we drop into LA, freeways, civilization. 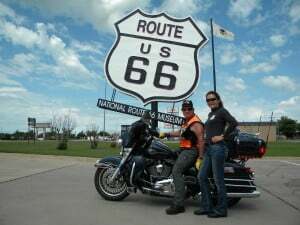 We make it through all the way to the end of Route 66! 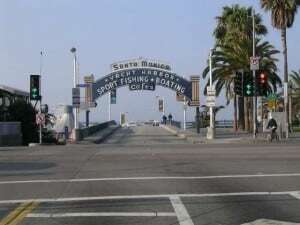 The Santa Monica Pier. … let’s keep the Ride Free tradition of ending the tour by putting our feet into the cold Pacific! We turn the bikes in at the end of the day. A victory dinner tonight. We say our goodbyes, and plan for our next adventure. There is so much more to see in the USA in the future. A shuttle will take you to the LAX. We meet after lunchtime at the hotel. 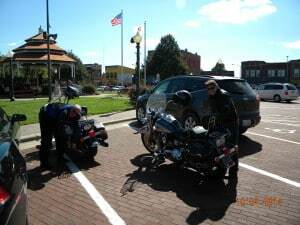 We also do an orientation with the bikes. Then we go out for dinner to discuss our big adventure! Start Tour out of Chicago. Let’s go! We settle into our bikes, and aim for California. This is our first night on the road. See icons such as the “Gemini Giant”, “Rocket Man”, “Old Log Cabin”, the old “Marathon Oil Station”. 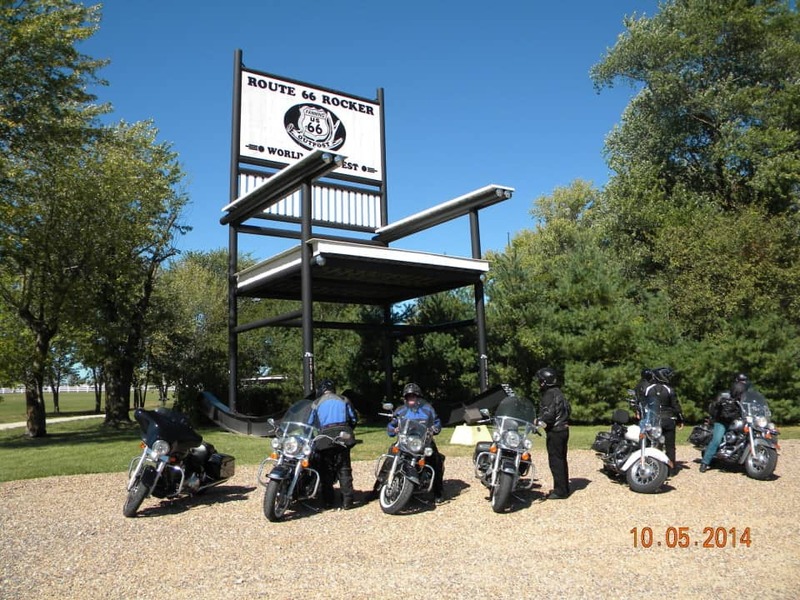 We also stop at the RT 66 Museum in Joliet. Today we ride over the famous old red brick section of Rt 66. It is a tucked away little gem. 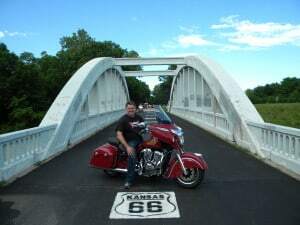 Amazing day riding Rt 66. Exploring St. Louis. 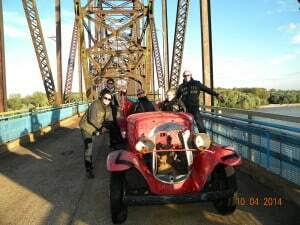 Then we ride our bikes to the famous Rt 66 Chain of Rocks Bridge that goes over the mighty Mississippi River. The Gateway Arch welcomes travelers heading East or West. The famous Budweiser Brewery. Maybe a blues bar tonight? 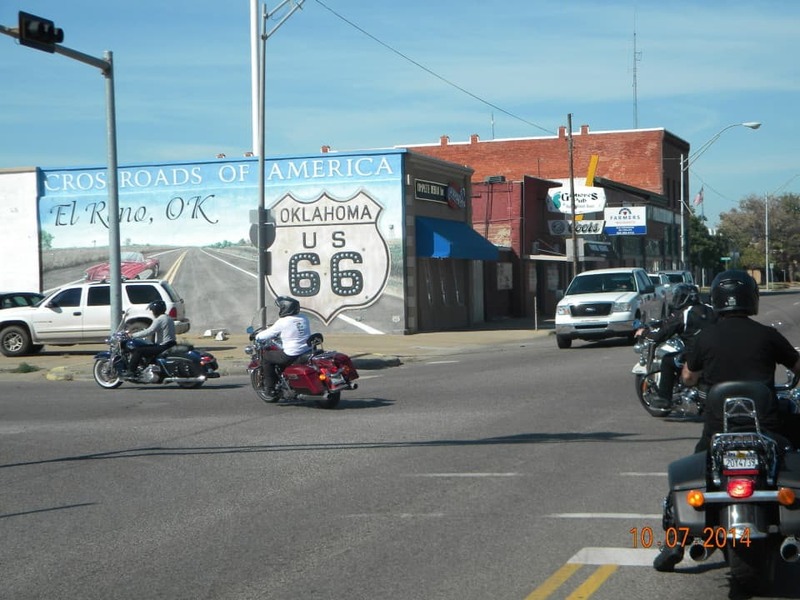 Riding our motorcycles on Rt 66 through neat little towns, we have really fallen into synch with our Harley Davidsons. Americana. Devils Elbow is amazing. A great section of RT 66 with all the Googie Architecture. A really great motorcycle ride on old pavement of the Mother Road. We visit some great old diners. Elk Cit Rt 66 Museum. Welcome to Texas! The panhandle of Texas. 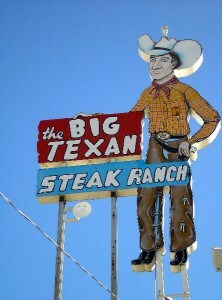 Big Texan Steakhouse for dinner? Welcome to Texas! The panhandle of Texas. 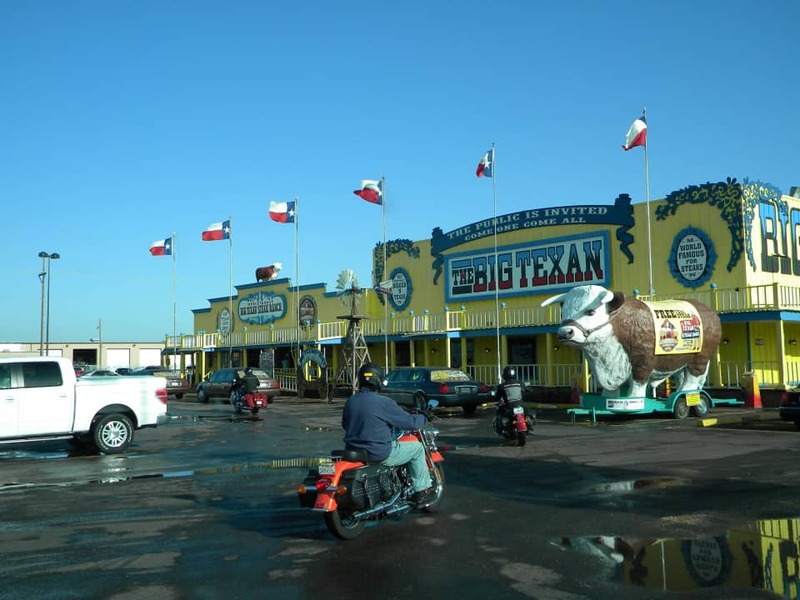 Big Texan Steakhouse for dinner? Everything is bigger in Texas. 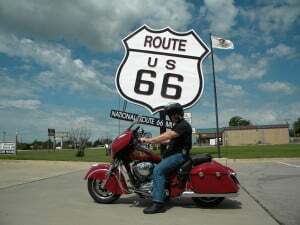 Let’s live a little old Route 66 today on our motorcycle and tonight. You will know you are on old Rt 66 today. It will feel like a throwback to what it was like to travel Rt 66 on the road in years past. 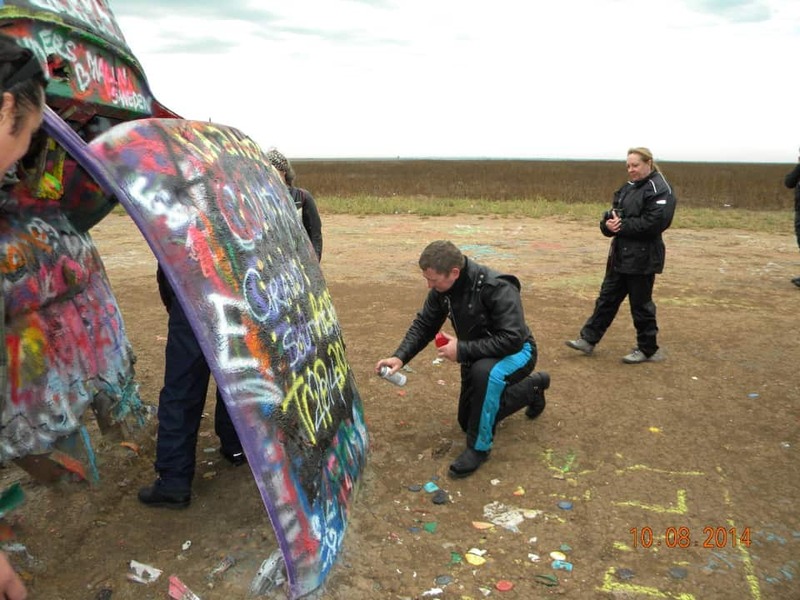 Cadillac Ranch is a Route 66 stop we must do. Who has ever spray painted a vintage Cadillac on Rt 66 before? Let me ask you again in the future… Welcome to Santa Fe. Art galleries, great restaurants, great walking around…. This is really an amazing Southwest city to spend time in. 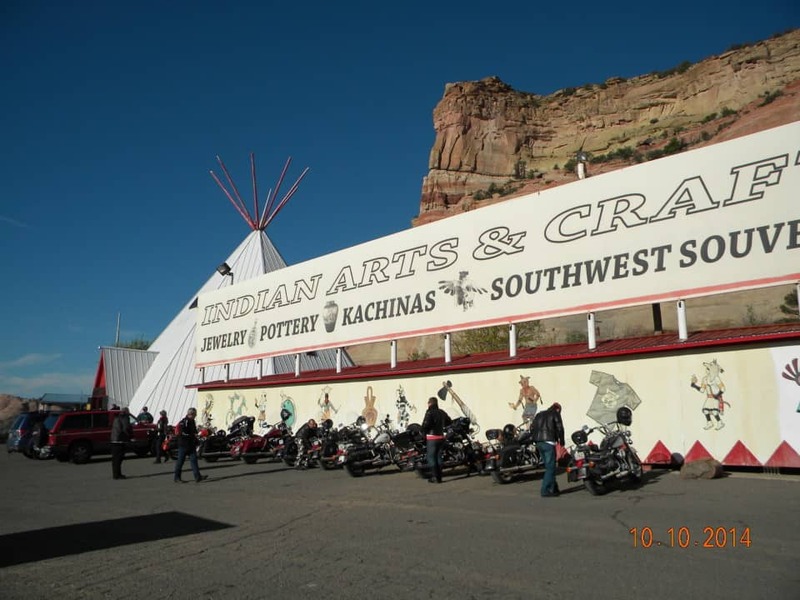 We discover the rich history and culture of Santa Fe after a big day riding Route 66 on our Harley Davidson. Relax and enjoy this great town. We can take short nice ride up into the beautiful mountains today. Or just enjoy a full day of rest and fun. If you can do the 17 day, I highly recommend it. 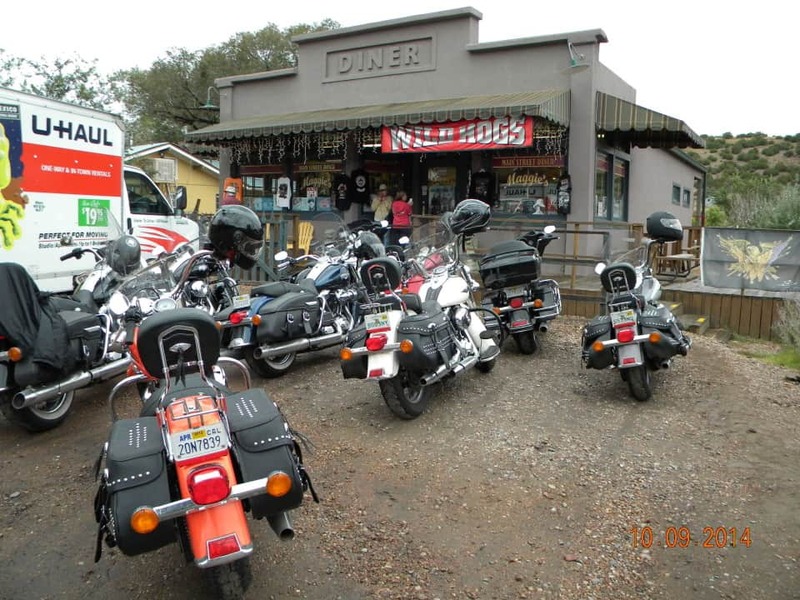 We start the day riding the curvy hills to Maggie’s Diner where the big showdown was in “Wild Hogs”. Then lunch in Old Town Albuquerque. Next we follow the Route 66 path, and end at the little town of Gallup, at the Rancho Hotel.The historic El Rancho Hotel and Motel has hosted a numerous array of movie stars including John Wayne, Ronald Reagan, Humphrey Bogart, Spencer Tracy, Katharine Hepburn, Joan Crawford, Kirk Douglas, Doris Day, Gregory Peck, and Burt Lancaster. The rugged terrain surrounding Gallup was popular with Hollywood film makers during the 1940′s and 1950′s for the on-location shooting of Westerns. Actors and film crews would stay at the hotel during filming. We stay on top of the Canyon and watch the sunset the first night. The Grand Canyon. “That’s one big hole!”, enough said. Hike down a trail the next am. into the Grand Canyon. Ride the donkeys down the trail into the canyon? Check out the Watchtower. Lots of great things to see. We get a full day in The Grand Canyon. When we are done here, we start heading back down the mountain and stop if you want for a helicopter or plane ride into the Canyon. Or maybe an old train ride? We then work our way down the hill after an amazing day to Williams for dinner and a night on the Western town. Or sleep. 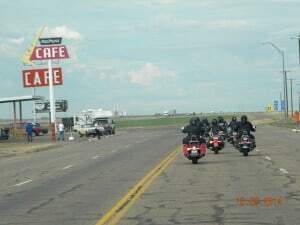 The quintessential Western Old RT 66 day! All the RT 66 shopping you could think of. We will be on the forgotten RT 66 a lot of the day. 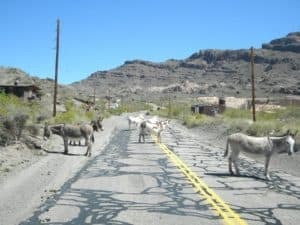 Grand Canyon Caverns, Peach Springs, Kingman…Towards the end of the day we will work our way on an incredible slow winding road to the old mining town of Oatman. Wild burros, real old 49er gold miners with real Colt 45s on their hips to protect their gold. A forgotten town. Not much has changed here the past 100 years. 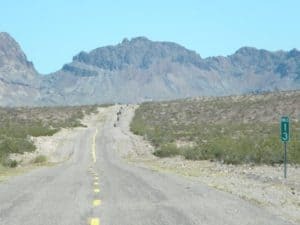 It is almost unbelievable that is winding mountain road was the main East West road until 1953 when Rt 66 was re routed. 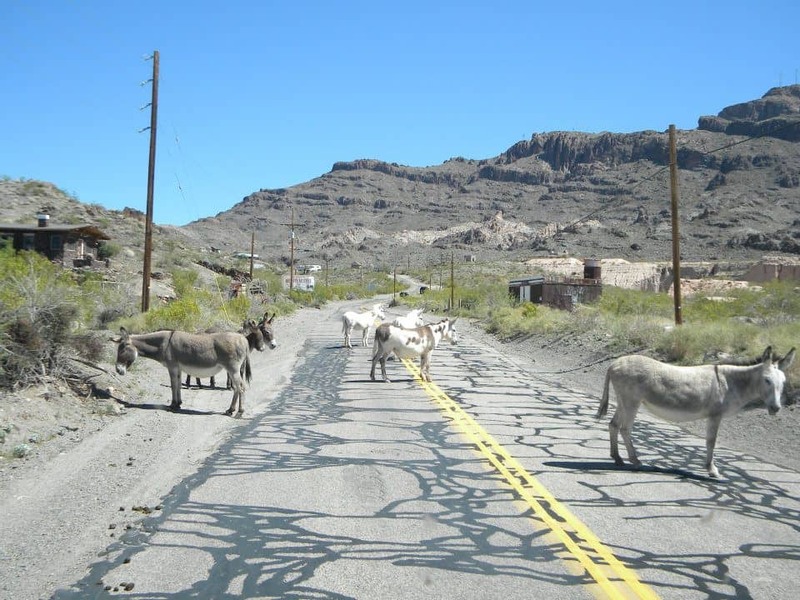 Time has held still since then in Oatman. Ribeye Steak and Mico Brewery tonight! 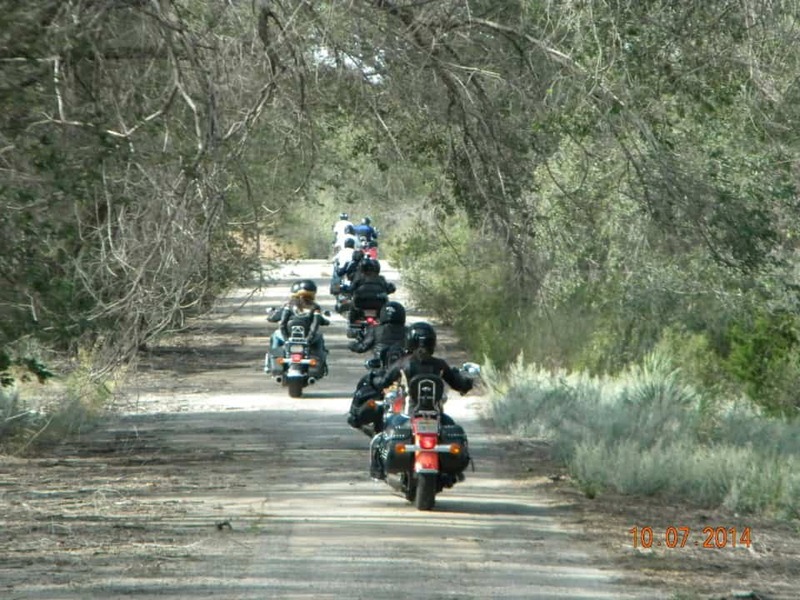 An early morning ride out beats the heat, and gets us to Vegas for an early lunch….. But first the Hoover Dam! Vegas – Pools, shows, fun. We will have a lot of the day to explore Vegas, and the whole evening. 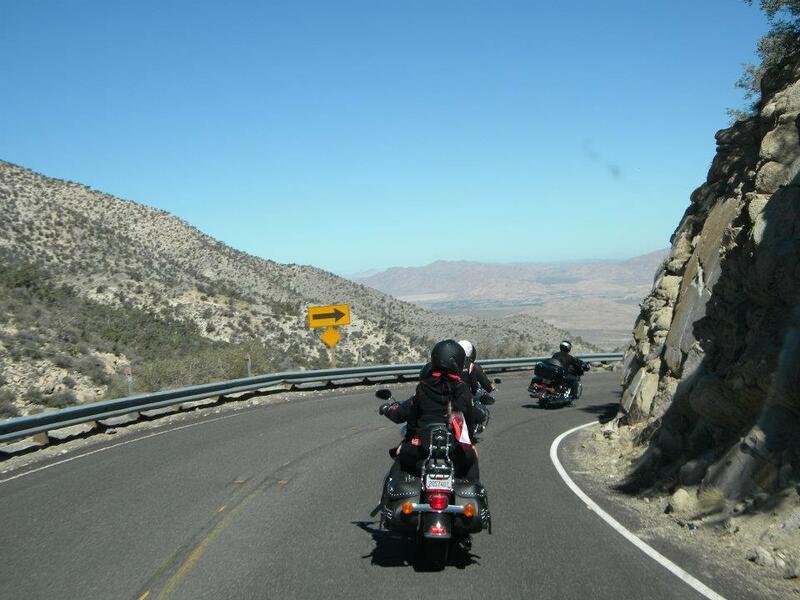 We take a little Rt 66 excursion up into the amazing San Bernadino mountains. A last long hard ride through the desert, we are covered in desert dust. Our bikes are covered in road grime. They and we look and feel like we really did something. We have. Then a climb up into the twisty mountains brings us to an awaiting pool in the cool alpine town of Big Bear Lake. It is not over yet! 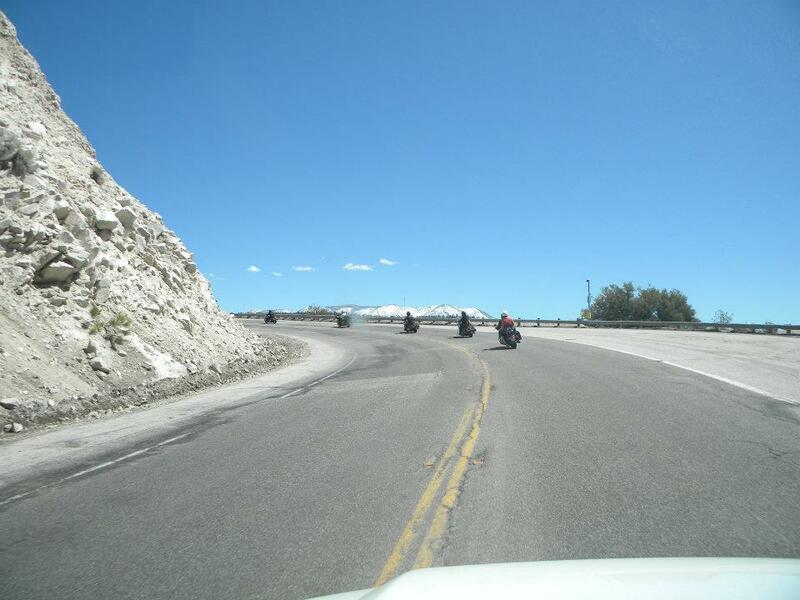 We ride the Rim of The World. An incredible ride on the top of a mountain range, with the clouds below. One of our most amazing rides. Then we drop into LA, freeways, civilization. 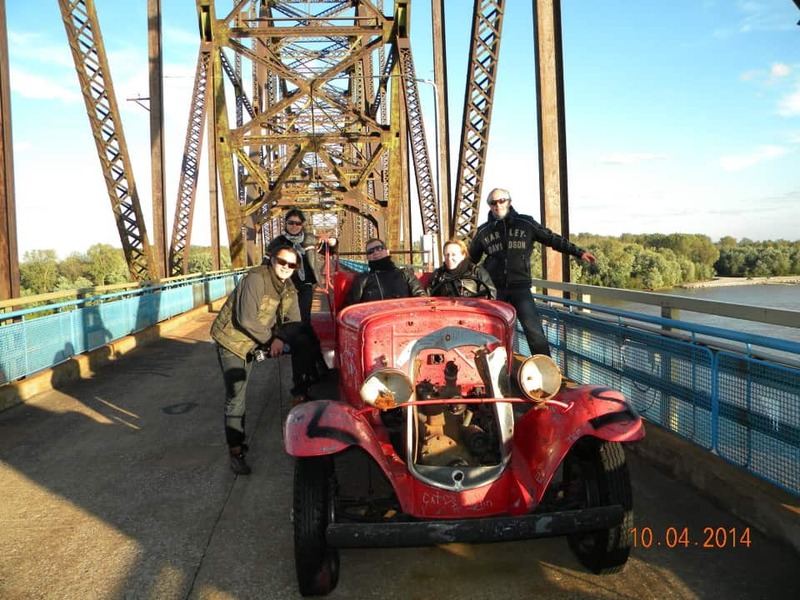 We make it through all the way to the end of Route 66! The Santa Monica Pier. … let’s keep the Ride Free tradition of ending the tour by putting our feet into the cold Pacific! We turn the bikes in at the end of the day. We say our goodbyes, and plan for our next adventure. There is so much more to see in the USA in the future. A shuttle will take you to the LAX. Relax and enjoy this great town. We can take short nice ride up into the beautiful mountains today. Or just enjoy a full day of rest and fun. Start Tour out of Chicago. Let’s go! We settle into our bikes, and aim for California. This is our first night on the road. We ride on our motorcycles to the famous Harley-Davidson Museum in Milwaukee where we tour before heading out on Route 66 the next day. See icons such as the “Gemini Giant”, “Rocket Man”, “Old Log Cabin”, the old “Marathon Oil Station”. 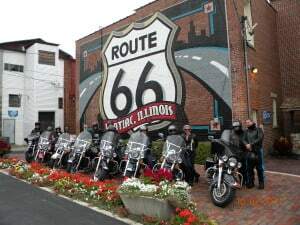 We also stop at the RT 66 Museum in Joliet. 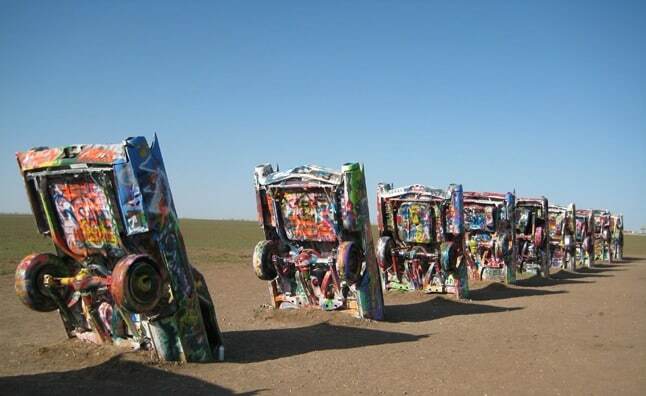 Cadillac Ranch is a Route 66 stop we must do. Who has ever spray painted a vintage Cadillac on Rt 66 before? Let me ask you again in the future… Welcome to Santa Fe. Art galleries, great restaurants, shopping, great walking around…. This is really an amazing Southwest town to spend time in. 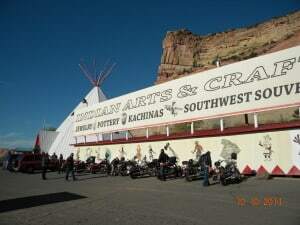 We discover the rich history and culture of Santa Fe after a big day riding Route 66 on our Harley Davidson. Lots to do today. We have some great optional half day rides planned. 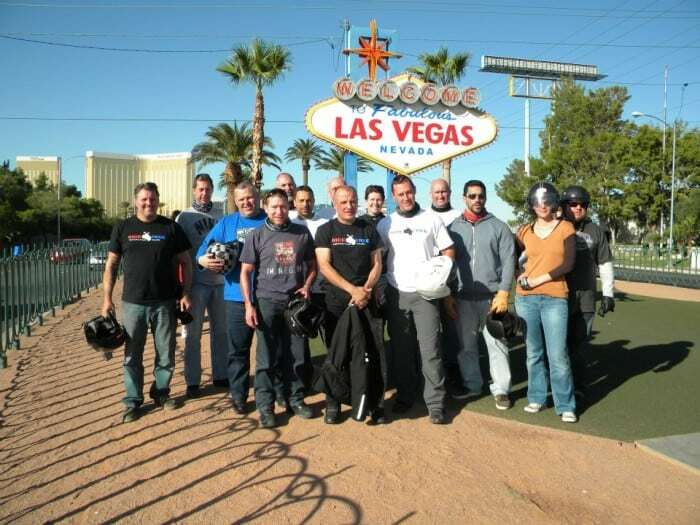 Have fun with the group or explore Vegas on your own. Tons of fun activities to do. We start the day slow today. First have a leisurely breakfast in Santa Fe. Stroll around the town square, or take a ride up into the mountains. 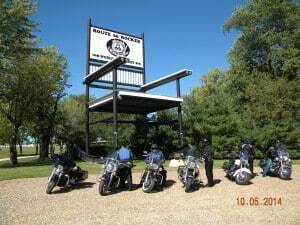 Next we ride the curvy hills to Maggie’s Diner in Madrid where the big showdown was in “Wild Hogs”. Plenty of time to soak in the unique town of Madrid and have lunch. There are also some other neat stops we have added in on the way to Old Town Albuquerque where you spend the afternoon exploring. Then we go out for dinner to discuss our big adventure in Old Town Albuquerque. We start the day with breakfast in Old Town Albuquerque. Next we follow the Route 66 path, and end at the little town of Gallup, at the Rancho Hotel.The historic El Rancho Hotel and Motel has hosted a numerous array of movie stars including John Wayne, Ronald Reagan, Humphrey Bogart, Spencer Tracy, Katharine Hepburn, Joan Crawford, Kirk Douglas, Doris Day, Gregory Peck, and Burt Lancaster. The rugged terrain surrounding Gallup was popular with Hollywood film makers during the 1940′s and 1950′s for the on-location shooting of Westerns. Actors and film crews would stay at the hotel during filming. 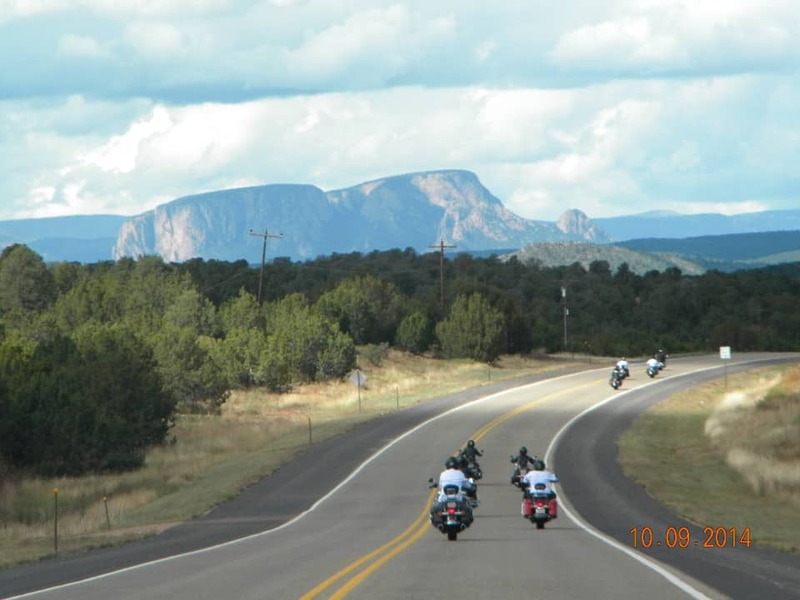 On 5B Option – we would add a day here, and this day Ride to Santa Fe, and the next day Ride through Madrid to see Maggie’s Diner and more, before getting to Gallup. Milwaukee Option: We start in Milwaukee and start 1 day earlier / add 1 day onto the trip in days in the pricing chart. Similar to the 17 Day but add 2 days: Harley Museum / Milwaukee + extra Vegas Night. Still has layover in Santa Fe also.